BOYD ROAD – On Saturday, April 27 at about 1:35 a.m., the Arcata Police Department responded to the Courtyard Circle Apartments on Boyd Road on the report of a male subject holding a knife to a female’s throat. 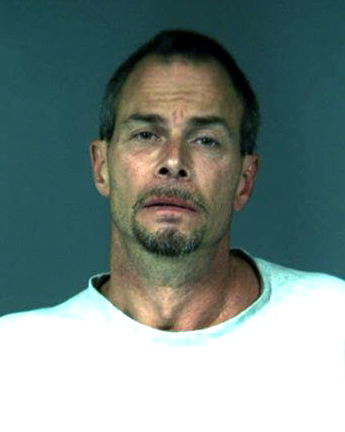 The suspect, identified as 47-year-old Hans Hanson, allegedly kept the female against her will in an apartment. The female managed to escape uninjured. Hanson was detained upon officers’ arrival. While investigating the incident officers recovered a large machete, which was identified by the female as the knife used. Hanson was arrested for criminal threats, false imprisonment and assault on a peace officer after he became combative. Officers were uninjured. Hanson was booked and lodged at the Humboldt County Correctional Facility. This entry was posted on Sunday, April 29th, 2012 at 8:24 am	and is filed under News. You can follow any responses to this entry through the RSS 2.0 feed.